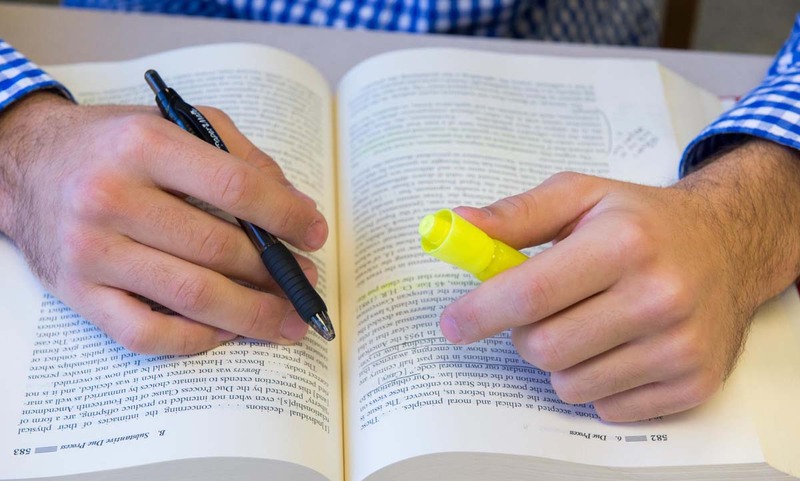 Widener Law Commonwealth hosts free practice LSATs (Law School Admissions Test) every year. Check back for the 2019 Mock LSAT dates. Also, our LSAT preparation podcast episode includes helpful information for prospective law school applicants. There is no cost to take the practice test. The event is open to the public and is intended to assist those preparing to take the actual exam and who want a practice run under conditions similar to those at a designated testing center. It also may be of interest to people who are curious about the LSAT or law school and would like the experience of taking it without incurring any cost. Check-in will begin at 9:00 a.m. on the exam date and the exam will begin at 9:30 a.m. Interested test takers also have the opportunity to speak with Widener Law Commonwealth students after the exam. If you have any questions about the Mock LSAT, please contact the Admissions Office at [email protected].